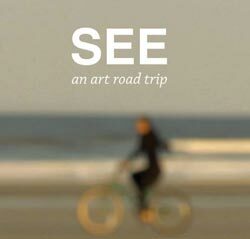 'SEE' an art road trip is finally finished. Honored to be an Official Selection of the Camden International Film Festival. Betsy and I had a hoot making it. Thanks to everyone involved and to everyone who made it possible. Please visit the website www.SEEartfilm.com and stay tuned for scheduled play dates.